How To Connect is an blending experience and examination of the physical and digital world. It comments on our contemporary computer/internet experiences/issues and invites people to explore and interact with the everyday objects and digital artifacts in a humorous and quirky way. 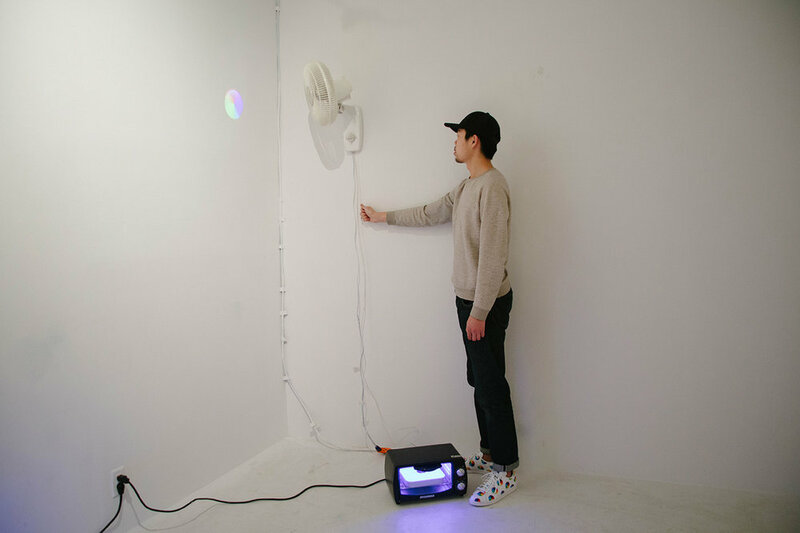 It consists of three parts, a wall fan and a toaster oven, a CRT TV and a vacuum, for which each object has a digital task to do. The fan blows the Mac OS wheel of death, trying to cool it down. But when the user changes the speed of the fan, the wheel slows down as well. The speed of the fan also controls the toaster oven. Inside the oven is a Mac Mini with indicating LED lights. The Mac Mini also gets heated up and cooled down by the fan’s speed. The vacuum helps the user when the desktop, projected on the wall, becomes overwhelmed by pop-up advertisements windows. When the head of the vacuum is moved to a certain spot on the wall, the windows starts to be sucked into the vacuum. 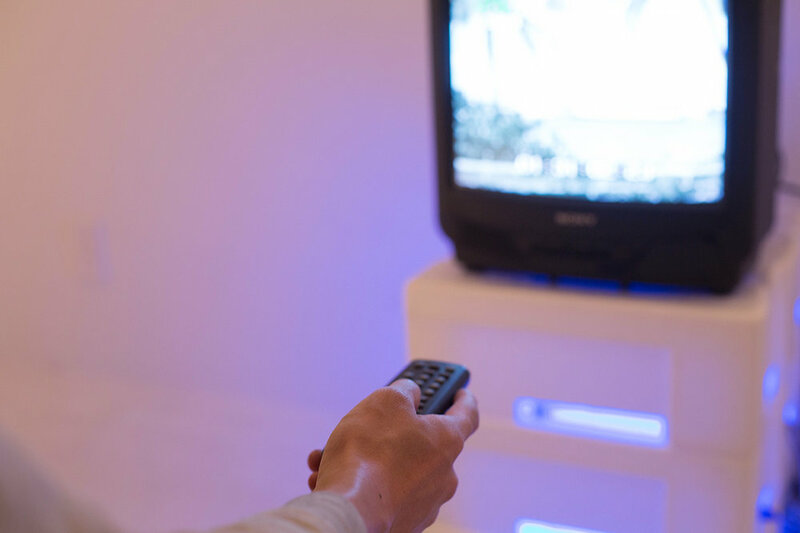 The CRT TV looks just like the one you were watching in the 90s. But it is only for scrolling the trending gifs from the internet with the hacked remote.